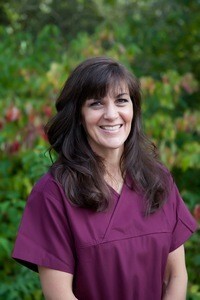 Debbie is one of our dental hygienists. She grew up in Santa Cruz, CA and Bend, OR-two of the most beautiful cities on the west coast. She earned a degree in chemistry from Seattle Pacific University before deciding to pursue Dental Hygiene at OHSU School of Dentistry. When she is not at work she enjoys a variety of physical activities. She runs, swims, cycles and once a week clog dances. She is slso very involved at her church and with her husband's ministry there. She has been married to Del for 36 years. Debbie has a passion for getting to know her patients and contributing to their efforts to stay healthy. Trish is our EFDA certified Dental Assistant. She joined our team in January 2010 and has 23 years experience as a Dental Assistant Trish is originally from The Bay area but has called Tualatin home for many years. With true patient compassion she really enjoys seeing, meeting and helping people. She is here to help ensure the best patient comfort and care . Trish enjoys running and spending time with her family. She has been married to her husband Jim for the last 19 years and they have two daughters. 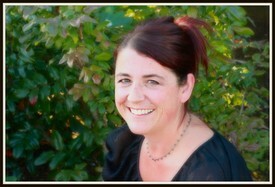 Shannon is one of our hygienists. 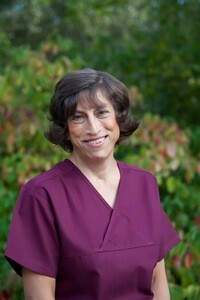 She grew up in Milwaukie, Oregon and has been practicing dental hygiene since 1999. One of her favorite parts of dentistry is being able to see her patients return year after year and stay connected with them. When not working, Shannon and her husband, Andy, love taking their son and daughter camping, dirt bike riding and hiking. She also loves baking desserts, reading, photography, and old Volkswagens.